When it comes to choosing a roofing color, the decision isn’t necessarily black and white. While choosing colors depends mostly on the homeowner, knowing the differences between lighter and darker roofing systems can help make the choice easier. Let professional roofing, exterior, and replacement window contractor Quality Home Exteriors walk you through the pros and cons of having either light or dark roofing colors to help you find the best option for your home. In urban settings, the ambient temperature is always relatively higher compared to rural areas. This is a result of the urban heat island phenomenon where extra radiant heat is retained by nearby buildings, cumulatively increasing the heat in the area. This is just one of the many factors that you need to consider. You should also determine whether your neighborhood has policies that limit or dictate the use of some colors. Our roofing and residential window replacement experts at Quality Home Exterior have found that while most products are designed to withstand extended exposure to extremely high and low temperatures, their overall strength is greatly affected by the constant surface temperature that they endure. Roofing systems that retain excessive amounts of heat last invariably (other risk factors notwithstanding) shorter than ones with high heat resistance and reflectivity. For homes in colder climates, most experts recommend using solar heat gain to reduce heating costs during winter. This means darker roofing colors that reflect little light and absorb extra heat offer more benefits when it comes to heating than lighter-colored roof assemblies. While this increase in temperature depends mostly on how much sunshine you get, it’s best to stick with dark colors especially if your heating system struggles during the cool months. 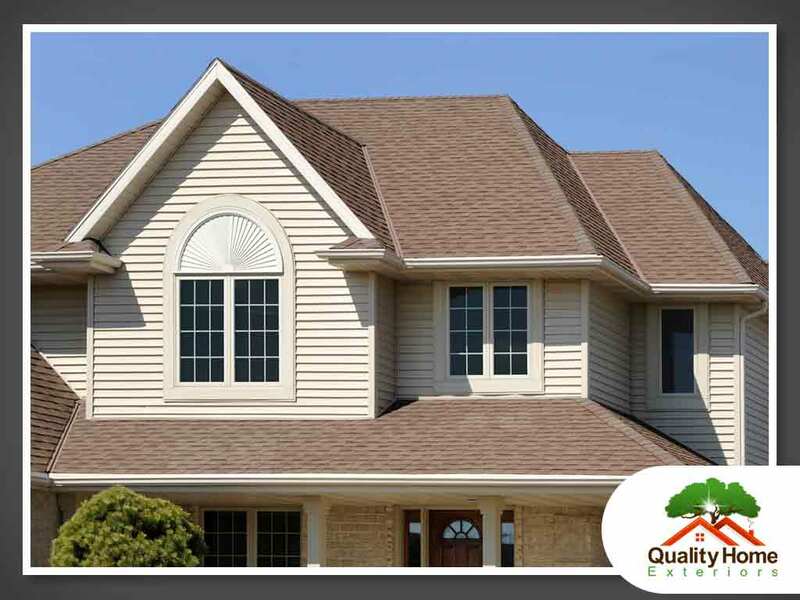 Whether you’re looking for roofing systems or a home window installation, trust the experts at Quality Home Exteriors to give you quality service. Call us today at (402) 401-4505 or fill out our contact form to schedule a visit with one of our specialists. We serve Omaha, NE, and all surrounding areas.